Fitness apps can be great tools for motivating and keeping track of physical activity. Unfortunately, they can also blow your cover. In Fit Leaking: When a Fitbit Blows Your Cover, Citizen Lab Senior Researcher John Scott-Railton coins the term ‘Fit Leaking’ to describe how how one company’s “God’s Eye View” of fitness data reveals large amounts of secret and private information. Small military outpost in an unnamed denied area, exposed by a heavy exerciser jogging the perimeters and fit leaking. Coordinates removed. Image: Strava. 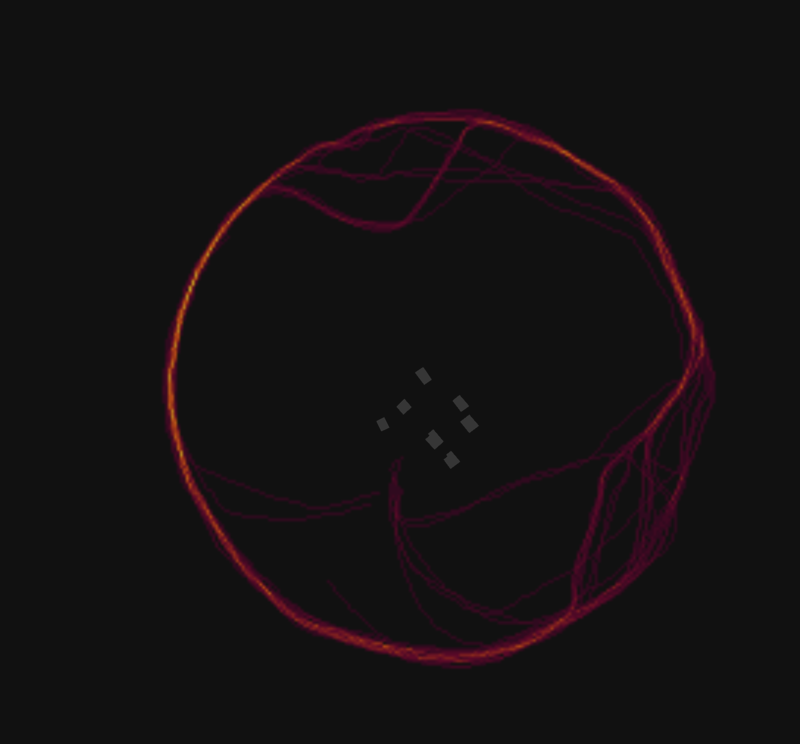 The post covers several categories of information that can be gleaned from examining Strava’s fitness tracker data, ranging from enabling the identification of secret military facilities in “dark areas” to specific identifiable behaviour patterns of at-risk individuals. 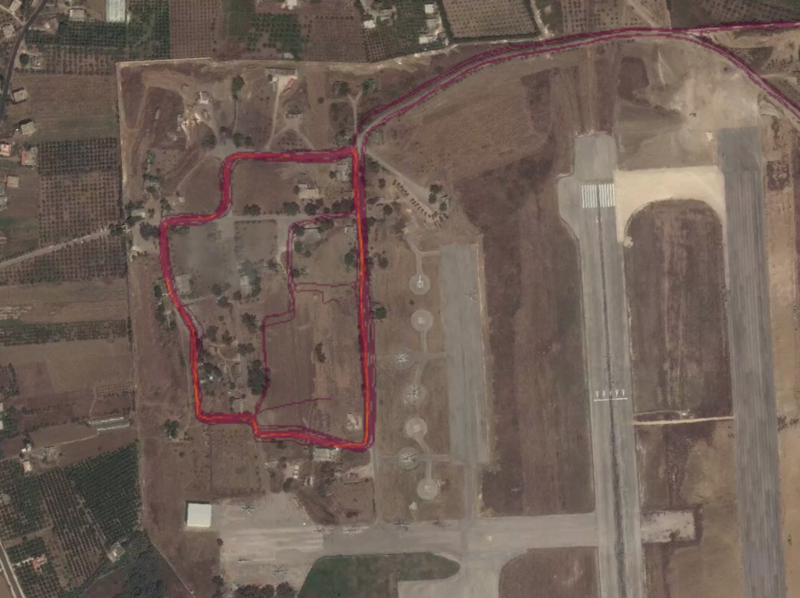 Image showing pattern-of-life activity in a suspected Russian military installation on an airbase in Syria. Image: Strava. Scott-Railton refers to the kind of intelligence that can be collected by examining wearables as PAPI: Presence, Activity, Profile and Identification. Identification In areas of high fitness tracker use, it may be difficult to identify specific people; however, in areas where fitness tracking is less common, specific residences or other locations can be used to identify individuals Individual homes or workplaces, as well as other uniquely identifying areas can be used to associate a particular trajectory with a particular individual or small group. This kind of information presents a clear threat to the operational security of governments and institutions, but the risks that it poses do not end there. Scott-Railton describes being able to identify individuals’ jogging routes from their homes and highlights the ways that such data could be used to stalk or commit violence. The analysis makes it clear that, while Strava’s “God’s Eye View” is alarming, it is not unique. Not only do other fitness companies publish similar maps, but fitness trackers are designed to collect large amounts of information that many would consider sensitive and private. In 2015-16, Citizen Lab researchers conducted a comprehensive experiment and analysis of fitness trackers. Researchers purchased and wore fitness trackers from a variety of manufacturers. After a period, the researchers requested that the companies send them the data that they collected. The researchers also examined the security and communications protocols used by the devices. Strava, by releasing vast amounts of sensitive user data, has made it easier to illustrate the dangers posed by the vast amount of location information that we share with popular services. Most services that collect this kind of information have never, and likely will never, publicly display the extent of the data that they have collected. We hope that the Fit Leaks case will provide an opportunity for a conversation around location privacy and security.